The definitive resource for manufacturers. From free flowing to cohesive powders, fine to multiple particle sizes, this guide will give you all you need to know to effectively and efficiently blend powder based products. Industrial Mixing for Manufacturers of Powder Based Products. The blending stage is a notorious bottleneck within a factory. Getting this right has a big impact on the overall efficiency of the whole production line, yet the choices are almost endless. 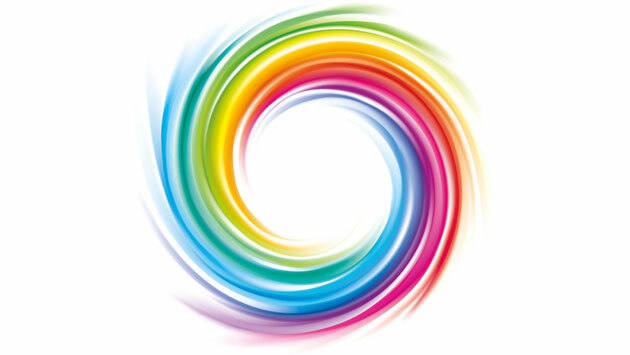 Arguably one of the most important stages in a powder processing system is that of Blending. Combining powders in an industrial mixer transforms them from individual ingredients into valuable products. But despite the obvious benefits, the blending stage is a notorious bottleneck within a factory. Getting this right has a big impact on the overall efficiency of the whole production line, yet the choices and techniques are almost endless. 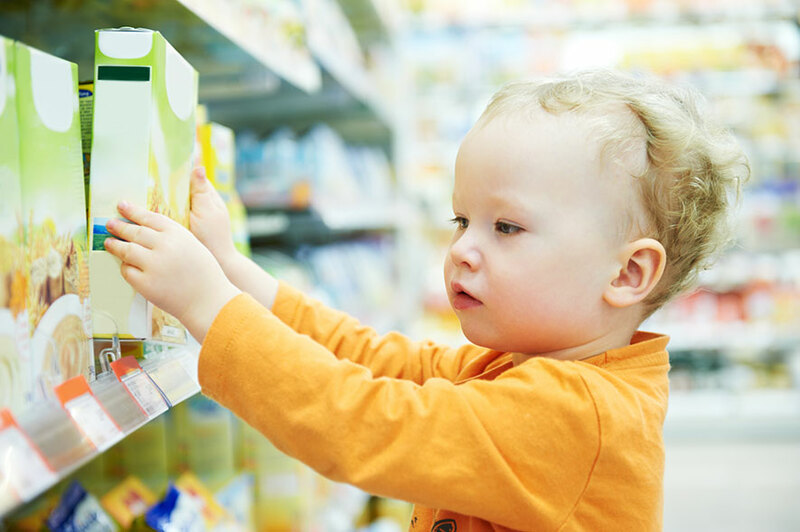 To further complicate matters, consumers are looking for ever more variety from manufacturers, meaning that more and more recipes are being added to the portfolio. How can you balance the need to produce a variety of different recipes every day, whilst maintaining high hygiene and production standards, without harming production efficiencies or running up huge operating costs? We've pulled together a number of our resources to help you answer these questions and many more. Browse this page using the menu above and feel free to bookmark it for later reference. If you have a specific blending problem that is not answered here, complete the form at the base of the page to request a support call from one of our blending technicians. 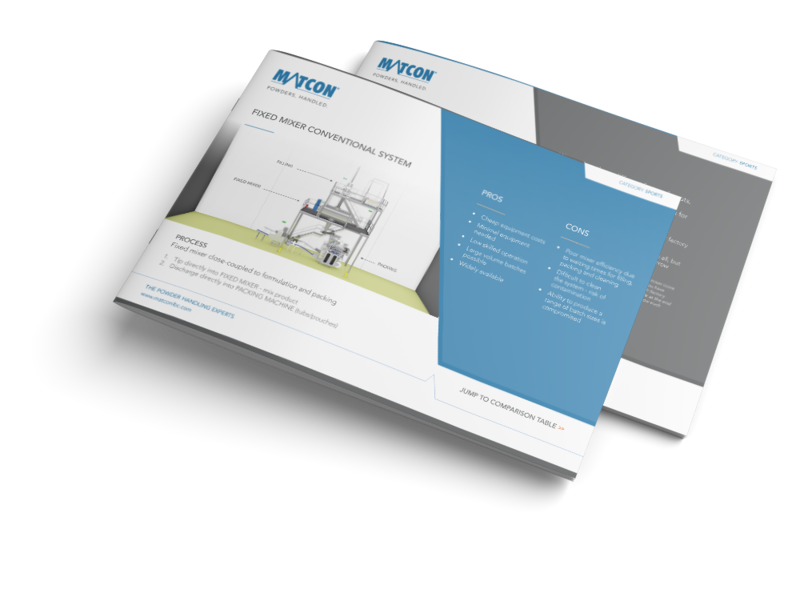 The most important thing to consider when selecting powder mixing equipment is whether to batch or continuously manufacture. If you need to swap recipes on a regular basis or produce the same product day in day out, then your application will be better suited to certain blender types. To help you select the right industrial mixer for your application, we have listed 5 key considerations for manufacturer’s who are looking to select an industrial powder mixer for blending as part of a batch processing programme. Which blending method is right for you, ribbon or tumble? When should you use an intensifier? Which route is best for powder and which is best for liquids. Container-based blending might at first sight seem to be not particularly efficient. How will materials blend if the vessel just rotates round and round? Well with a Matcon system, the geometry of the container (IBC) and the Cone Valve within the IBC work in harmony with the asymmetrical spin axis of the industrial mixer to enhance the randomising blending action of the powder material within the container. These features deliver ‘macro blending’ (groups of particles changing place) through shear and convection and also ‘micro blending’ (individual particles changing place) through diffusion. Four key questions you need to ask when you're evaluating the suitability of an industrial mixer; from efficiency and flexibility to cleaning and safety. When making the choice of which industrial mixer to select for your business it is important to consider the range of batch sizes you will be producing. If you need the flexibility to handle smaller batches, then a cone screw blender or tumble blender will be the most suitable as they can still operate efficiently with low fill levels. Ribbon blenders normally need to be filled to 40-50% of the rated capacity. Here we advise you on the best, most flexible blending solution to suit your manufacturing needs. Generally, space in a factory comes at a premium, there is never enough space and you certainly don’t want to waste it. If you need to buy multiple industrial mixers to cover the range of batch sizes you produce, then these will all take up valuable room on the factory floor. Depending on the product you are producing, the industrial mixer may need to be housed in a 'clean room', which is expensive to construct and maintain. If you have multiple mixers then the costs of these 'clean rooms' spiral. Explore the five criteria you should consider when choosing your industrial mixer. What if you could cut out the cleaning and down-time from your production line? What if you could mix 3 or 4 batches an hour instead of per shift? What if you could mix 3 or 4 batches an hour instead of per shift? What if you could cut out the cleaning and down-time from your production line? Manufacturers are amazed by the amount of time and money they can save by investing in the right, flexible manufacturing equipment. The key to it is to select the right Blender. Get that right and you are on the way to making significant savings. 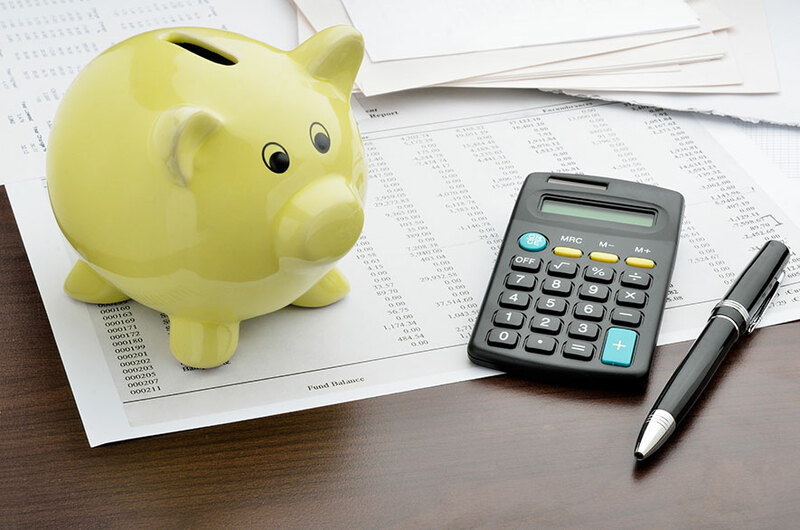 Here are just x6 ways you can save money and keep ahead of your competitors. If you have a specific blending issue that isn't answered here then ask one of our powder handling experts. In the decades that we've been handling powders, we've encountered most mixing and blending issues so will be able to help. The increasingly complex nature of the recipes that consumers demand today means manufacturers need to adapt in order to survive. How can manufacturing methods be improved to satisfy these customer needs, whilst also balancing product quality, safety and production costs? The right technology can revolutionise the agility of manufacturing enabling quick responses to changes in market demands. So what is your weakest link? In-line process systems by their design are linear – the raw materials enter the process in the Formulation Area before the final product is delivered out of the far end of the process line. The problem here is that the process line will only be as effective as its weakest link. Along the way, a vast array of processes are involved from dispensary & mixing, to sieving & packing, and in some cases, more complex processes such as granulation and drying are also involved. It is almost impossible to completely synchronise everything, so as a result, there is a lot of waiting time between one process and another. A familiar bottleneck area is mixing. It is not uncommon for the Industrial Mixer to stand idle for long periods whilst Formulation of the recipe takes place. Then the Industrial Mixer remains inactive again whilst Packing is completed. This results in an inadequate OEE (overall equipment effectiveness) rate not only for the individual equipment but the process line as a whole, affecting production capacity. With recipe proliferation, the increased need for recipe changeover further destroys this conventional way of processing. With more stringent regulations, rising labour costs and competition globally, there has never been a greater emphasis on production efficiency. More and more demand is being placed on manufacturers to produce small volumes of more diversified products. Companies cannot simply afford to over-produce product and hold excess inventory to meet this demand. A more flexible approach that is efficient and lean is required. Mixing is a critical aspect of a powder process, it’s the step where the manufacturer is adding the most value. With so many different mixing technologies and methodologies available it can be hard to see the right way forward. Conventional wisdom might suggest selecting a mixing system that is fast, but that may not fully address the need for flexibility. Achieving the perfect blend is essential when making a high-quality product for the discerning consumer or to meet regulatory controls. To do that, you need the most suitable equipment for the job: a blender that is ideally suited to your recipes, your production line and your customers' demands. If you've already started the search for an industrial mixer for your premises, you'll have discovered a range of different styles from ribbon blenders and high shear blenders to tumble blenders. The Intensifier consists of an 8 bladed shaft capable of rotation speeds from 500 – 3000 rpm. This rotation range allows the Intensifier to add low speed stirring to more friable mixtures or where particle reduction is an issue. If you've heard that tumble-blending doesn't work on recipes containing liquids or fats, we'd like you to take a closer look at how we have overcome this perception. The Matcon IBC Blender is designed to accommodate our complementary Intensifier which adds high shear to the tumble-blending process. The Intensifier is mounted at the inlet of the Matcon IBC exposing it to the powder flow as the IBC travels through the inverted section of its rotation path. This greatly increases the shear and convection mixing process within the IBC industrial mixer. 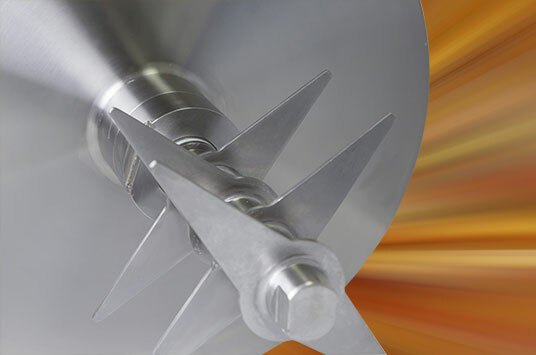 The Intensifier blades are designed to breakdown agglomerates in raw material allowing particles to be integrated into the powder mass, whilst at the same time preventing the formation of agglomerates from cohesive inter-particle forces, liquid bridges or free fats. Having selected to use tumble blending for your powders, how do you know what settings are the best to use? It's important to identify which blender rotation speed will mix your recipe effectively. 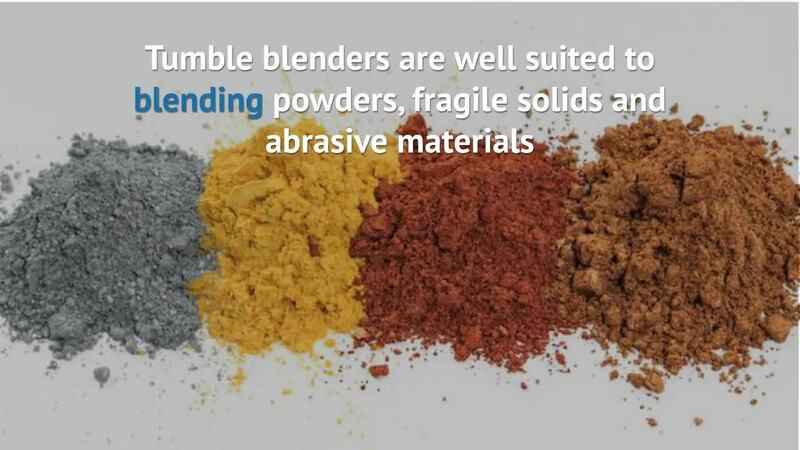 The blender can be set to rotate at different speeds from 4 to 18 rpm to match the characteristics of your powder mix whether that is a friable or a cohesive material. Discover the right rotation speed for your ingredients. The strengths of the tumble blender are clear when combining solids. But what happens when you want to add liquid to the mix? Or you want to work with sticky or tacky solids, or paste-like materials? Such ingredients need to be treated differently to ensure a lump-free blend that gentle mixing can't guarantee. Traditionally, tumble blenders were not considered to be very versatile in these situations. 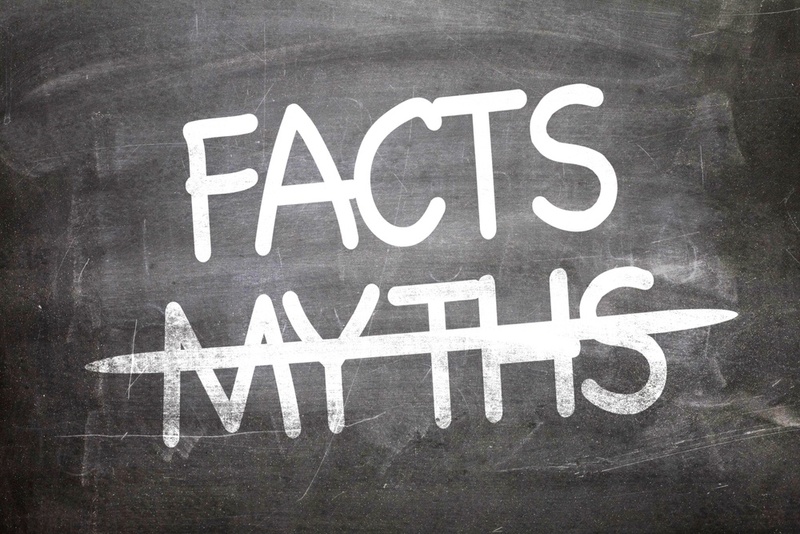 But for most manufacturers, buying a different kind of blending solution is neither cost nor space-effective. However, there is an alternative. By equipping the Matcon tumble blender with a high-speed intensifier bar, we are able to offer the best of both worlds. Manufacturers can choose to use their tumble blender in the traditional way or they can attach the high shear blades to blend fluid additions or agglomerated powders to form a flawless end product. 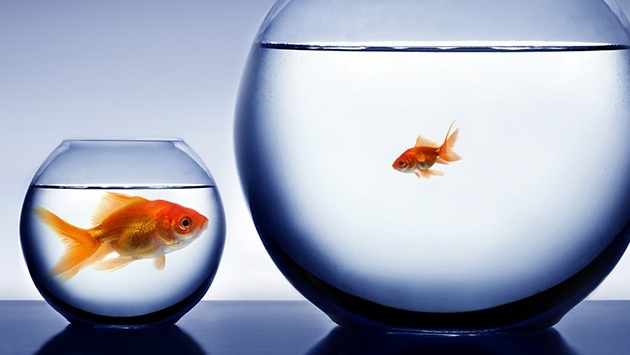 Getting ahead of your competitors relies on providing a wide range of products to meet ever-changing customer demand. But the proliferation of new product variants is a major stumbling block to achieving maximum throughput. Why? Because more recipes mean more changeovers, more cleaning and increased idle time. All of which adds up to a longer end-to-end process and fewer batches being produced per shift. Having the right equipment in place can significantly reduce this time spent on profit-sapping activities between recipes. The fixed nature of many mixers means they create a bottleneck when recipe changeovers and cleaning are required. The blender must be taken out of commission, so it can be thoroughly cleaned. This can take anything from half an hour for dry powders to a full eight-hour shift for wet and dry clean downs. If several recipe changes are required throughout the day, a fixed mixer is highly inflexible and adds significant amounts of time to the end-to-end process therefore reducing equipment operational effectiveness significantly and mitigating the number of batches that can be produced. Which Manufacturing Layout & Blending Process is Right For You? 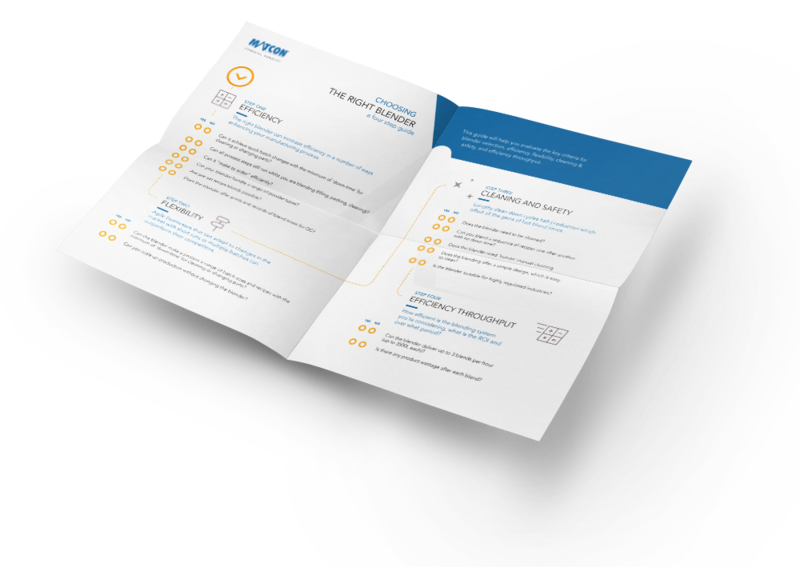 Download our guide to the three different manufacturing layouts employed by manufacturers today. We'll show you how to identify each one, the blending method used and the pros and cons of each. While originally created for Sports Nutrition manufacturers, this resource applies to all powder product manufacturers. is able to do the work of several fixed industrial mixers. Matcon does things a little differently to ensure production line flexibility for our customers. Rather than using a static industrial mixer solution, which needs cleaning between each recipe change, we create flexibility by using container-based blending. IBCs can be used for formulating, blending, transporting and storing product – a multi-functional, straightforward solution to many of the problems faced by powder manufacturers. Recipes can be formulated off-line, transported to the mixer and then blended in-bin before being moved, within the same container, to the packing line. A super-fast loading and unloading mechanism also helps to boost efficiency. Using one IBC during the whole process dramatically reduces cleaning downtime. The IBC is the blending vessel which means that no product comes into contact with the blender, so each time you need to change recipe there’s no down-time for cleaning, simply switch from IBC to IBC. Using traditional industrial mixers, this is a process that can take up to eight hours. 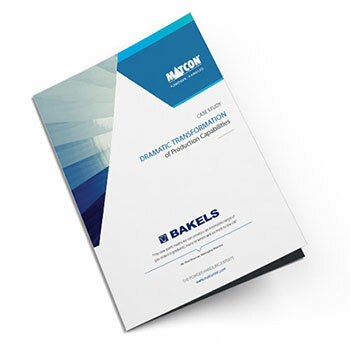 Read the full Bakels case study. A British, 100-year-old company manufactures and supplies the global baking market with high quality produce. They supply a wide range of customer types from individual craft bakers to high street and supermarket chains. Discover how Matcon's blending system helped this British bakery. How to get different batch sizes blended using the same pharmaceutical equipment - How are you accommodating your smallest batch and your largest batch? If you aren’t careful you could end up needing to buy 3 or 4 blenders, each of which will need its own space. Failing to get this balance between the size and number of blenders correct could mean increased quality control checks. How to Keep Your Industrial Mixer Working For You Not Against You - Handling numerous product recipes and maintaining high hygiene standards while keeping manpower and production costs low is a major challenge for the food industry. Find out how to balance these factors. Bigger Isn't Better When Choosing an Industrial Mixer, Look at Your Fill and Empty Times - Manufacturing principles are often built on the idea that bigger is better. But expanding the scale of production to yield more units at a lower cost is an outdated approach for organisations who want to provide a broad product range. Manufacturers are starting to think differently. Are you missing out on valuable customers? - Discover how can you create a manufacturing system that gives you the agility to react to market demand?